If you’ve ever believed “I have to perform to be loved and accepted,” or “Beautiful girls are worth more,” than you’ve been straight-up lied to. We want to help you smash those lies with Truth from God’s Word so you can be free! We started this blog back in 2008, praying big prayers that it would be a beacon of Truth to teens like you around the world. 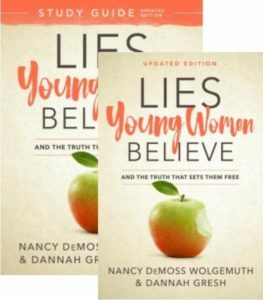 After surveying over 1,000 teens, Nancy DeMoss Wolgemuth (best-selling author of Lies Women Believe) teamed up with Dannah Gresh (best-selling youth author) to smash the top twenty-five lies of your generation. Ever since then, Erin Davis (author of the Lies Young Women Believe Companion Guide) and several others have been sharing the Truth right here on the Lies Young Women Believe blog. Jump in and join the conversation—we’re so glad you’re here! BIG ANNOUNCEMENT in 2018: Lies Young Women Believe and the Lies Young Women Believe Study Guide have been refreshed and updated for this current generation! Nancy DeMoss Wolgemuth is the best-selling author of Lies Women Believe. 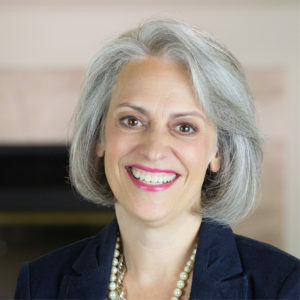 When she’s not writing books or speaking to women, you’ll find her recording radio programs for Revive Our Hearts and Seeking Him, two nationally syndicated radio programs. Nancy is burdened for the next generation of women, and refuses to surrender them to the enemy’s camp. 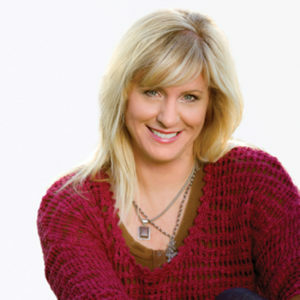 Dannah Gresh is the bestselling author of And the Bride Wore White and co-founder of Pure Freedom, a ministry equipping men and women of all ages to live a vibrant life of purity. She has authored the Secret Keeper series and Pursuing the Pearl. Dannah lives with her family in State College, PA.